In what could be taken as a reminder that Uber’s recently published “how to get banned” guidelines are a warning, not an instructional guide, Silicon Valley star and stand-up comic T.J. Miller was apparently arrested last night after allegedly slapping his ride-share driver. Miller was on his way home from GQ’s Men Of The Year party when he got into a political argument with the driver about Donald Trump, leading to the aforementioned slap. The driver responded to the physical altercation by calling the police, and placed Miller under “citizen’s arrest”—whatever that means, exactly, in terms of a Uber driver’s responsibilities and powers—until they arrived. 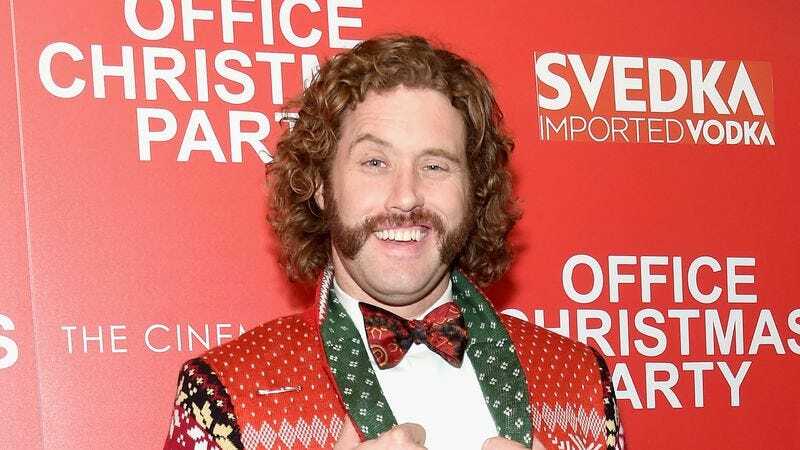 No one appears to have been seriously harmed in the incident, and Miller was reportedly released from jail without needing to post bail, which means he was out in time to celebrate his new film, Office Christmas Party, opening in theaters today.